While walking down the cat food aisle in your local pet store you’ll start wondering out of the number of food available on the shelves which is one is right for your cats? What is the best option for them? There would be many bags as well as pouches and cans. Many cat owners will be torn on the different options and have a hard time deciding on the right variant of cat food that they should get. Most manufacturers offer multiple formulas which will leave you with unlimited options. However, if you ask many pet owners and veterinarians, they will often recommend having wet canned food. Canned cat food offers great moisture content that is important for the proper digestion of nutrients and promotes your cats’ ideal body condition. If you want the best canned cat food, then this guide is just for you! If we are going to list out all the best cat food on the market, you’ll probably be spending the whole day reading it. To make the list short and give you better insights, we have carefully chosen the best canned cat food and made an ultimate guide for you. Why Have a Canned Food Diet? Why Can Dry Cat Food Be a Bad Choice? The Weruva Classic Grain-Free Cat Food is a popular choice because it is free from grains making it ideal for cats that are prone to different sensitivities. It offers a higher level of protein that is essential for your cats to thrive and helps promote leaner and stronger muscles. This is an all-natural cat food that comes with low carb and low fat to make it all balanced for proper adult cat maintenance. It does not come with carrageenan or any other funny looking gels. It comes with the right quality of ingredients that offers a great taste from the shredded meats and pumpkin soup. Aside from that, it offers Vitamin E, B1, A, D3, B2, B3, B12 and B6 supplements. It has a great smell that can easily attract the attention of your cats, and help you provide the proper nutrition that they need. As per the brand, adult cats should be fed with 1 can per 10 pounds of their body weight. Make sure to follow the right serving to avoid cats from being obese. It has a great taste for finicky cats. It has high levels of protein and has low fat and carbs content. It is recommended for cats with kidney disease. It has a great odor that can easily attract your cats’ attention. It can have big chunks that some cats don’t like. Cat owners complain that it is too soupy. The Wellness Complete Health Natural Canned Cat Food is a healthy choice, not only for your kittens but also for the maintenance of your adult cats. This is formulated to fit the needs of cats of all life stages and give them the nutrition they need. It is made of a high-quality ingredient that is perfect to promote the overall wellness of your cats and help them achieve an ideal body weight. It is free from carrageenan and it is a delicious pate that is made with the right quality of protein source combined with essential vitamins and minerals. It is a complete and well-balanced diet, so your cats can enjoy it even more. It’s an all-natural recipe that is free from meat by-products, artificial flavors, colors, preservatives, and other ingredients that can be harmful to your cats. It is proudly made in the USA and is offered with a satisfaction guarantee from the brand. Surely, they are one of the leading cat food brands on the market that offers great flavors and recipe that your cats can enjoy. It is free from grains and additives. It is a complete and well-balanced diet for your cats’ needs. It is formulated to be highly palatable and digestible. It is proudly made in the USA. Some cats won’t like this meal. It is not the cheapest cat food option available. The Hill’s Science Diet Tender Chicken Dinner Cat Food offers a perfect balance of nutrition based on the brand’s scientific research. It offers the delicious taste of the tender roasted chicken chunks that come with gravy that makes your cat easily fall for it! It also gives the right nutrition they need without any other preservatives that can upset their stomach. This cat food is enriched with Taurine that is essential to maintain the healthy heart and good vision of your cats. There is also a precise blend of key nutrients that delivers the right level of energy that supports your cats’ growth and lets them achieve their ideal body weight. This is a premium quality cat food that is made to be highly digestible and comes with ingredients that ensures the right nutrient absorption to keep your cat healthy and fit. This soft cat food comes with a low magnesium level that is important to avoid the risk of having kidney diseases. It is rich in Taurine. It has real chicken in gravy. It supports your cats’ ideal body weight. There are cats that don’t like this meal. Cat owners complain about the strong smell. The Blue Wilderness Grain-Free Wet Cat Food is made of tasty trout that offers a high level of protein that your cats will enjoy. It is made to be 100% free from grains and is ideal for the common needs of adult cats. It can help them easily avoid any sensitivities and allergies. The packaging may vary, so make sure that you’ll check the recipe to know if you are getting the right product. This recipe also comes with antioxidants coming from fruits and vegetables. It is made with no chicken by-product, no wheat, corn, soy, artificial flavors, colors or preservatives. This is a complete and well-balanced recipe that all your cats will surely love. The main ingredients used include chicken, chicken broth, water, trout, and chicken liver. It helps your cats to thrive and have leaner and stronger muscles. It has the complete vitamins and minerals that your cat needs for their development and to promote their digestive health. It is 100% free from grains. It helps avoid sensitivities and allergies. It comes with antioxidants from vegetables and fruits. It is a complete and well-balanced meal for your cats’ growth and development. Some cats don’t like this recipe. Cat owners complain about the inconsistent formula. The Purina Pro Plan Entrees in Gravy Entrée is among the brand’s best-selling wet canned recipes that are formulated for adult cats. It has a great taste and offers outstanding nutrition that is needed by your cats to thrive. It promotes longevity and gives assurance that you are maintaining the ideal body weight and condition of your cats. This is rich in omega fatty acids that help your cats have healthy skin and coat. It offers the optimal protein and fat levels that let your cats avoid being obese or be prone to other sensitivities. This recipe has been formulated to help them live a healthy and active life without any worries. This also means that there will be fewer trips to the veterinarians. It is made of real chicken and has complementary rice that gives your cats quality protein. The rice also helps in offering extra carbohydrates that is important, so your cats can have more energy and let your cats stay playful and energetic. It offers a great taste that your cats will love. It supports your cats’ ideal body condition. It let your cats avoid sensitivities. It helps cats to have healthy skin and coat. Some cats are not interested in this meal. It is only formulated for adult cats. The Wellness Signature Selects Wet Canned Food is free from grains and is formulated to be complete and balanced. It is healthy and gives all the nutrition that is needed by your cats. It is hand-packed with delicate flakes of protein coming from real tuna and wild salmon and has a delicious sauce. This is made to be highly palatable and can easily get the attention of your cats. It is all-natural and only uses high-quality ingredients. There are no meat by-products, corn, wheat, and soy added, so you can be assured of the overall quality that it offers. This is available in custom-design, upside down can that makes it easier for you to serve to your cats. It gives you quick access to the meal itself. You can expect your cats to be prompt with the sound of the lid being opened. This is formulated to be highly appetizing and is made to be digested easily by your cats. It aids cats with a sensitive stomach and lets them be free from any possible sensitivities. It is formulated to be complete and well-balanced. It is made to be highly palatable. This is available in cans with an easy-to-open lid. It aids cat with a sensitive stomach. Some cats don’t like this. It is soupy compared to other recipes. The Blue Freedom Grain-Free Wet Cat Food is a perfect recipe for cat owners that are looking for a diet that is free from grains and gluten. This is formulated using the best natural ingredients that are chosen to meet the special needs of your indoor cats. Indoor cats can be less active and may need higher levels of nutrition. It is rich in protein and offers cranberries that can help in keeping your cats’ urinary tract functioning properly. This is a perfect blend of natural dietary fibers that is important to help minimize the risk of hairballs and promotes healthy digestion for your cats. This is also important for them to minimize the odor of their litter box. This is formulated to be free from chicken by-product meals, corn, wheat, soy, and artificial flavors and colors. This comes with a pate texture that is ideal for older cats that have weaker teeth and need softer cat food. It comes with high levels of protein. It is supplemented with vitamins and minerals. It has low iodine content. It has natural dietary fibers to avoid the development of hairballs. It has added carrageenan that is not good for cats. It is not recommended for diabetic cats. The Best Feline Friend Cat Food 4EVA Recipe is among the newest recipes available on the market. This is gaining popularity because it is free from grains and uses quality ingredients such as tuna and chicken in gravy. It is made to be highly palatable and can easily get the attention of your cats. This is also free from gluten, carrageenan, non GMO and other ingredients that are not needed by your cats. It is an all-natural, complete, and balanced diet that is ideal to support the needs of your cats. It promotes an ideal body weight and helps them avoid different sensitivities. The best thing about the brand is that their products are dolphin and sea turtle safe. They have also been family owned for over 10 years and is using a human-food facility. They are following very strict standards and quality control which gives assurance to the cat owners about the recipes that they offer to their pets. It offers high levels of protein for your cats. It is an all-natural and completely balanced diet. It helps your cats easily avoid different sensitivities. There are cats that developed diarrhea from eating this. The Purina Beyond Natural Canned Cat Food is formulated to have small bite-sized pieces that make it easier for your cats to chew and digest. It is slow cooked in its own juices to offer a natural flavor that your cats can resist. It is highly palatable and pleases most cats because of the overall flavors and nutrients that come with it. This product uses chicken and sweet potato as the main ingredients. It gives cats a higher level of protein that is important in having leaner and stronger muscles. It promotes the overall wellness of your cats and lets them easily achieve their ideal body weight and condition. This recipe comes with wholesome vegetables that give extra antioxidants to help them fight off different sensitivities. It is free from grains and other additives, so cat owners can be assured of the overall quality of nutrition that they are offering to their cats. This is also available in other flavors such as chicken, beef and carrot, duck and sweet potato, ocean whitefish and spinach, pheasant and sweet potato and a whole lot more for you to choose from. It is available in small bite-sized pieces. It is highly digestible and palatable. It comes with other flavors to choose from. It promotes leaner and stronger muscles. Some cats may not like this. If you are looking for unique flavors that you may want to try out for your cats, then Tiki Cat Canned Cat Food Hawaii Grill Ahi Recipe is perfect for you. It gives you a unique taste that can easily get the attention of your cats. It is a whole food diet that has been certified for human consumption and is known because it is highly palatable and can easily attract cats. This product is formulated for general wellness and maintenance of adult cats. This is a great recipe that you can offer for your cats that are suffering from diabetes or any other health condition. It has big chunks of tuna that can easily let your cats sink their teeth in. It helps cat owners to have peace of mind on the quality of nutrients and ingredients they offer to their cats. This recipe comes with tuna, sunflower seed, vitamin B12, B3, E, D3 and A. It also has folic acid that supports the brain development of your cats. It is free from grains and any other additives, so your cats won’t have any risk of developing allergies and sensitivities. It is cooked slowly and is free from grains. It has no carb content and is perfect for cats with sensitivities. It helps promote stronger and leaner muscles. Not all cats like the taste of it. The Purina Fancy Feasts Gravy Lovers Poultry and Beef Collection come with 24 cans of 3 highly palatable flavors including turkey feast in roasted turkey flavor gravy, chicken feast in grilled chicken flavor gravy and beef feast in roasted beef flavor gravy. It is made to fit the preferences of the cats and give them the right level of nutrition that they need. All of it is rich in quality protein coming from the real ingredients such as chicken, turkey, and beef. It comes with tender, delicate bites that are easily digestible and chewed by your cats. It is 100% complete and balanced, so your cats can stay healthy. This is formulated for cats of all life stages which means that you can serve this for your kittens, adult cats and senior cats. Aside from that, it is made to be ideal for cats that have a sensitive stomach or may need tender bites because of weak teeth. You can be assured that your cats would be able to enjoy every bit of it and finish the whole cat bowl in one go! It is rich in quality protein. It is 100% complete and balanced for your cats. There are cats that can be messy in eating this. Some cats may be picky about the flavor they want. The Royal Canin Thin Slices in Gravy Wet Cat Food is formulated for the needs of senior cats. Senior cats can have weak teeth and may have a hard time consuming a dry cat food. With this formula, it is easier for them to have access to higher levels of essential fatty acids as well as EPA, and DHA. That is responsible for helping and supporting healthy joints of your cats. On the other hand, this recipe also comes with reduced phosphorous levels that are important to support the kidney health of the older cats. This is a great formula for proper maintenance of senior cats as it also helps them to avoid possible sensitivities and promotes longevity. It reduces the risk of arthritis and other problems. It has tender thin slices in gravy that is easier to be chewed and digested by your older cats, especially if they have sensitive teeth and gums. Make sure that you will introduce this meal properly, so it won’t cause for them to have an upset stomach. It is formulated for the needs of senior cats. It helps to support healthy joints. It has reduced the phosphorous level. It reduces the risk of different sensitivities. It is only for senior cats. It does not come with real meat as the main ingredient. The Nutro Max Chicken and Lamb Wet Cat Food is a formula that is being considered by many consumers because it is made of high-quality ingredients. It is actually formulated for the needs of the kittens, but can also be served for adult cats. It comes with real chicken and liver that offers quality protein essential for the growth and development of muscles. There is no chicken by-product meal, additives and any other ingredients that can be bad for your cats. It only uses all natural ingredients that have been fortified with the right level of vitamins, minerals, and other necessary nutrients. It is 100% complete and well-balanced to support the overall needs of your cats. It is proudly made in the USA and is offered for a reasonable price. It also comes with a high moisture level that can keep your cats hydrated. It is made of high-quality ingredients. There are no chicken by-products used. Some cats don’t like this. It has a lower level of protein compared to other recipes. If your cats are prone to sensitivities, then a limited ingredient diet can be recommended to them. The Blue Basics Cat Food is a great recipe that you can have as it is free from grains and specially formulated for the needs of cats with food sensitivities. It uses whitefish as the main ingredient and offers delicious, high-quality protein that is important for the wellness and growth of your cats. It also comes with potatoes and peas that are easily digestible. This gives extra carb sources that are important for your cats to get the energy they need. This is important for indoor cats that have fewer activities inside the house. It also offers an optimal blend of omega 3 and 6 fatty acids that support healthy skin and coat of the cats. There are no chicken or poultry by-product used, no corn, artificial flavor, wheat, soy, and color. This is all natural and ideal for the needs of your cats. It is a great recipe that can give you assurance on the overall nutrition that you are giving to them. It offers a high level of protein for your cat. It is highly digestible and aids sensitive stomach. It has limited ingredients to avoid sensitivities. It is all natural and free of additives. Too much ocean flavors are not good for cats. Crave is among the new pet food brands on the market that focuses on offering recipes that are mirrored on the natural diet of the cats. The Crave Grain-Free Chicken and Beef Pate Recipe are one of their recipes that uses real chicken as the main ingredient. It is free from grains and being labeled as a premium natural cat food. This is rich in vitamins, minerals and other nutrients that your cat needs. It is available in a twin pack that makes it easier for you to serve and offers to your cats. This is rich in protein and gives your cats energy to support leaner muscles and promotes overall body condition. There are no grains, corn or wheat used for it. It uses quality carbohydrate sources that give out energy and it boasts to offer 12% of high-quality protein that helps cat thrive and be satisfied. It is rich in fibers that is also important to promote digestion and avoid the risk of hairballs and other problems. It has a natural source of carbohydrates. It is rich in fibers for proper digestion. Some cats don’t like pate texture. High Quality of Ingredients: It is important to check the ingredients used in the diet of your cats. There should be real meat as the main ingredient and there should be no meat by-products, artificial flavors, fats, starches, or any other fillers. Fillers can make the recipe unbalanced and can make your cats prone to developing different diseases. Moisture Level: One of the main reasons why many cat owners are buying canned cat food is because of the moisture level. You need to spend time in checking the moisture level or the water added and be assured that your cats will be hydrated when eating the meals. Regardless, there should always be an available source of fresh water inside the house. Size and Weight of Cats: When you are buying wet canned food, it is important to follow the recommended serving based on the size and weight of your cats. Some cats can be addicted to the taste and become obese. You need to be careful and get to know the proper serving depending on the size and weight of your cats. Price: Unlike dry cat food, wet canned food is often offered for a higher price. 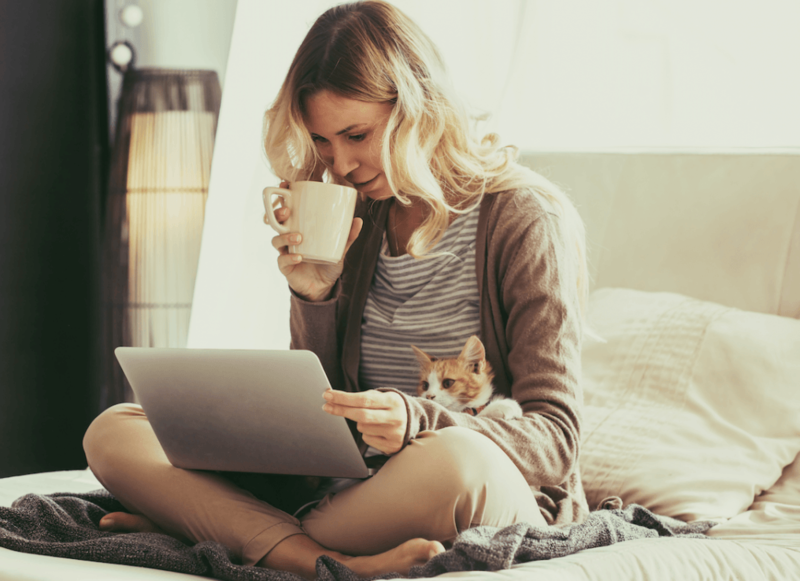 Make sure that you will check the price of the options you think is best for your cats and determine if you can manage to invest in it for a longer period. Different recipes will have different prices depending on the ingredients used and the benefits that it offers. Make sure to get one that fits your budget without sacrificing the health of your cats. Avoid Diabetes and Heart Disease: According to different studies, cats that are fed with canned and wet cat food are less likely to be prone to developing different diseases including heart disease and diabetes. This is ideal if you want your cats to achieve a healthier body and have better assurance of their longevity. 75% of moisture content: We all know that some cats are not trained or comfortable in using bowls when drinking water. Canned cat food recipes are designed to have 75% moisture content that keeps your cat hydrated even though they are not drinking water from other sources. This is also important especially if your cats are prone to different sensitivities and need more moisture level to promote the proper digestion of nutrients. Perfect for Finicky Cats: Many cat owners may end up having a hard time looking for recipes that they can feed for their finicky cats. It seems that they turn up their noses on most of the cat food that you offer. With wet canned cat food, your finicky cats can easily be attracted because of the strong scent and the natural flavors that come with it. Flaked, Chunks, and Morsels: Most cat canned food offers real meat as the main ingredient and has chunks, flaked, or morsels that your cats will enjoy. They will love sinking their teeth on every bit of their food and eventually get the right levels of nutrients that they need. Highly Digestible: Cats that are prone to sensitive stomachs or have smelly poop may need canned cat food. This is formulated to be highly digestible and allows cats to get the nutrients from their food without any problems. Most of it comes with great fiber sources that can also help avoid the development of hairballs. If you think that getting the best canned cat food is easy, you are wrong. There are different types of it that make it totally overwhelming for you to decide which one you’ll get for your cats. Each brand may offer different options and if you want to have a short overview, you can check out the following below. Pate: You probably heard some cat owners saying, “my cats don’t eat anything other than pate”. Pate refers to the wet canned food that is described to look like a spread with finely chopped meat. This is a typical variant of wet canned food on the market that has more solid structure than the other types. There are times that it is offered with broth or gravy. Shredded or Flaked: If you want to let your cats have a great taste of meat that they love, then you can have wet canned food that has flaked or shredded meats. This often comes with broth or water and thickened with flour or gum. There are other manufacturers that are creating this with fruits, vegetables, or cheese. Meat in Gravy: As you can see, there are wet food varieties that are available in pouches. This comes with meat in gravy and has high calories. It is a great recipe that you can consider as a supplement for your cats and are often used as toppers on their dry cat food diet. Meat in Broth: This is similar to the meat in gravy that is offered in pouches. It comes with flavored broths and is often offered with vegetables. There are also some variants that are sold with stew to make it more natural and ideal for the needs of your cats. Semi-Moist: Another available option is the semi-moist wet canned food. It has no preservatives and is perfect for cats with sensitivities. It comes with high calories and sugar level and most of the time, they are being sold as treats. You can have this for the supplementary feeding of your cats. As mentioned earlier, there are many brands that are offering quality wet canned food like Fancy Feast and Lotus. They have a great selection of wet canned food recipes that range from mid to high quality. You need to be certain of each type and be knowledgeable about what you will get for your cats. When it comes to having peace of mind on the quality of the meals that you’ll get, the first thing you need to check is the background of the brand. Where do they manufacture their meals? What are the sources of their ingredients? Are they affected by past recalls? There can be a lot of points to consider, and we are here to give an overview of the differences between several brands before you get the best canned cat food for your pets. ZiwiPeak: ZiwiPeak is a popular brand that offers canned cat food made of ingredients that are sourced from ethical and free-range farms in New Zealand. They are proud to offer recipes that use hearts, lungs, and other organs to have the right protein source, so it can mirror the natural diet of your cats. Aside from wet canned recipes, the brand also has great air-dried products. Lotus Pet Foods: Lotus Pet Foods is one of the brands that have started humbly but is now popular because they are offering oven-baked wet canned food. They have unique recipes that use high-quality ingredients to provide the best flavors that your cat loves. Wellness: There is no doubt that Wellness is known on the market for creating recipes that are based on the special needs of your cats. They have high-quality standards and eventually make sure that all their products are safe and guaranteed to offer the proper nutrition to your cats. Koha: Koha is a New Zealand based company that is known to offer wet canned food that is available in stew and pate styles. They are an exclusive wet canned brand and offers a larger variety of recipes available for you to choose from. The brand has never been affected by any recalls. Their recipes are rich in quality protein coming from real meat ingredients. Purina Fancy Feast: As the brand claims, they are the number one wet cat food brand in the USA. Their recipes come with high-quality low carb proteins and are made to be palatable to satisfy the needs of the finickiest cats. They offer different flavors for your cats to enjoy. The brand also offers gourmet recipes that is important for cats that are losing appetite. Royal Canin: Royal Canin is a popular brand that is known in creating recipes that are based on scientific research and the specific needs of the cats. They are partnered with team of breeders and researchers to work for the best recipes that your cat needs. However, they are not using real meat as main ingredient on their recipes, so you have to make sure that it can works well for the health of your cats. Aside from them, there are a whole lot more of brands that are manufacturing wet canned food that comes with different flavors and rich with nutrients that are essential for the overall health of your cats. Make sure to spend time in checking all of your options and focus on the needs of your cats more than anything else. When it comes to proper nutrition, canned cat foods are highly recommended for cats of all life stages. This means that this offers great recipes and the right level of nutrients that can support your cats depending on their current age. Wet canned cat food gives better support and nutrition because it is highly palatable and digestible at the same time. To give a short overview on how your cats can benefit from it, you can check out the following below. Kittens. Most kittens would need a proper introduction of meals when they make the switch from their mother’s milk to solid food. Wet canned food offers the closest nutrition and texture they need. It has a high level of moisture that is needed by your kittens as they won’t be able to chew the solid dry kibbles properly. It also gives them the right level of nutrients needed to promote proper digestion and support the building up of stronger muscles and bones. A label that says it is formulated for kittens. Pate style so your kittens can eat it easily. Has high levels of protein to support stronger muscles. Made of real meat for proper nutrition. Adult Cats. If you have adult cats, mixing wet canned food with dry cat food is ideal. This gives them a variety of texture that lets them avoid being finicky. However, wet canned recipes can be important if they are prone to having allergies or sensitivities. Most wet canned cat foods are formulated to support adult cat maintenance and help them achieve their ideal body weight and condition. Just make sure that you are getting the right flavors or recipes for them. Meets AAFCO standards for adult cat maintenance. Uses real meat as the main ingredient. Has no grains, gluten, and other additives. Supports healthy digestion and avoids the risk of different sensitivities. Senior Cats. Feeding your senior cats can be challenging. Some of them will start to lose their appetite or become obese. It is important that you serve the right food that is complete and comes with the nutritional supplements they need. Depending on their age and overall health, you need to check wet canned recipes that are highly palatable and comes with great texture that your senior cats can easily eat and enjoy. A highly palatable recipe to get their attention. It should be easily digestible as they have weaker teeth. Should have more protein and less fat. Fewer calories to avoid being obese. Most cat owners are considering dry kibbles because it is offered for a cheaper price and comes with a longer shelf life. It helps them save money and eventually provide the right nutrition that their cat needs. However, dry cat food can be risky and cause several problems if fed to your cats for a longer period. Cats, by nature, are obligate carnivores and hunters. They need meals that are rich in moisture to keep them hydrated, and that is something that dry cat food cannot offer. According toseveral research, dry food is the leading cause of most cats’ health problems. They cause cats to have urinary tract problems. When your cats have access to dry food without available water resources, it causes them to have low levels of hydration and lets them be prone to the development of kidney and bladder problems. Also, offering dry food can make your cats diabetic. Most dry cat foods have higher carb content. It also comes with higher levels of sugars that can directly go into the bloodstream of your cats and lead to an imbalance of the natural metabolic process. If your cats are showing up some symptoms and you think that it is getting worse every day, then it is the right time to seek for an advice from your veterinarian. Surely, they will advise you to switch their diet canned cat food. Save time and avoid risking the health of your cats by offering dry cat food when you can offer them the best canned cat food from the start. It is healthier, more nutritious, and is ideal for their needs and preferences. There are several diseases that your cats will get as they age. It is important that you provide the right nutrition they need as early as now. There are different recipes and formulas being offered all over the market and if you are interested in getting the best canned cat food, you have to be particular on the brand, the ingredients, and the overall nutrition that your cat needs.